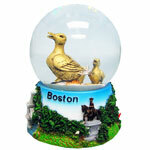 Boston skyline snow globe. 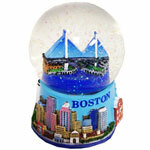 The base has �Boston� and shows the Boston skyline along with sailboats and the Boston Lighthouse in the harbor. 3 1/2" tall x 2 �" wide.